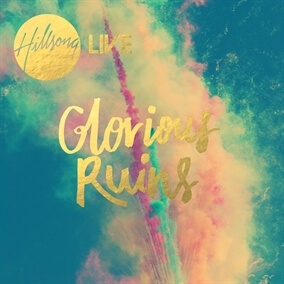 "Glorious Ruins" Just Released - New from Hillsong Live! Today marks the release of Hillsong Live's 22nd worship project entitled Glorious Ruins and MultiTracks.com is proud to be able to bring you all of the stems for every song on this passionate album of praise to help you lead these incredible songs in your church. We're here on the floor of the Hillsong Conference in Sydney and it's been an incredible time of worship and we believe there are many songs on this project that will likely become anthems that will resonate in your life and the life of your local church. Long-time fans of Hillsong worship music won't be disappointed as Joel Houston, Reuben Morgan, Ben Fielding, and Matt Crocker, among others, return with yet another offering of prayerfully covered and thoughtfully crafted songs of lyrical depth and interesting, dynamic musical arrangements. We'll highlight a few of the tracks here for you in this review, and we encourage you to check out the release on iTunes and you can see the Glorious Ruins trailer below. For a more in-depth review, we've posted a 45 minute pre-release video from the Hillsong team where you can hear many of the songs from the album, as well as getting the chance to hear the inspiration behind the songs and some testimonies from team members about how God is using these songs in the church and their lives personally.